Myrtle Beach is known for its amazing golf courses, fabulous shopping experiences, scrumptious dining establishments, and of course, its sandy beaches, but it's also gained notoriety due to the wide selection of entertainment options that are fun for the entire family. Voted one of the top family destinations in the country year after year, these 5 shows provide the perfect entertainment for everyone in your group. 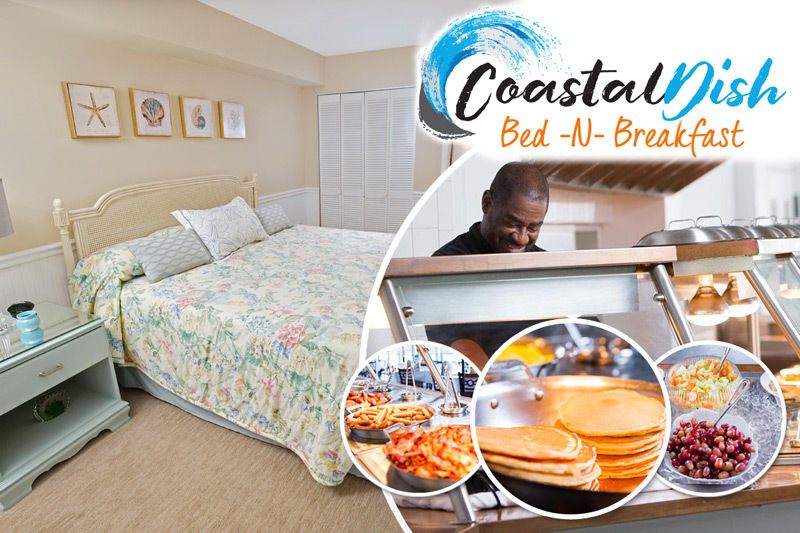 During your next Myrtle Beach vacation rental experience, make sure you visit at least one of these action-packed extravaganzas. Avast, mateys! 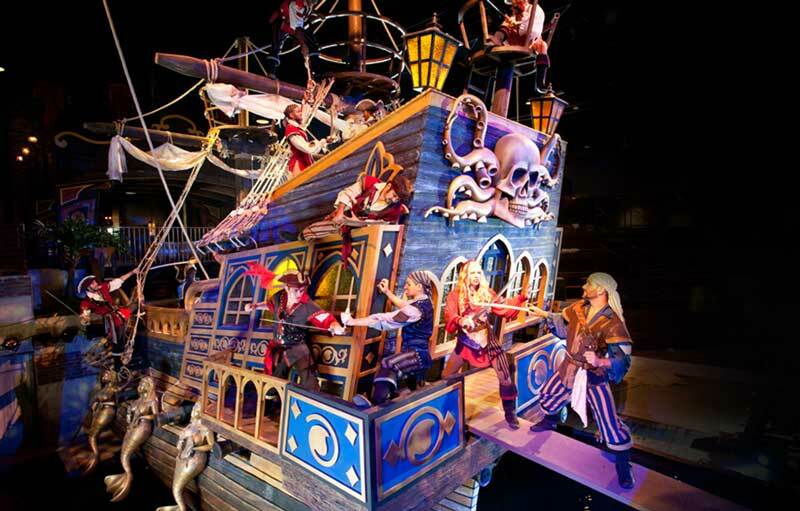 At Dolly Parton's Pirates Voyage, you'll experience the wonder and spectacle of dancing and high-flying pirates, the beauty of magical mermaids, and the deliciousness of a feast fit for a Captain! Guests here are divided into Sapphire and Ruby teams, with each being seated on opposite sides of the arena. Dine on creamy vegetable soup, roasted chicken, BBQ pork, and more as you cheer on your team of scallywags as they carry out great acrobatic feats! This high-seas adventure will take you back in time with its Pirate Village and ensuing show. Bring the whole family to Pirates Voyage for an arghhhmazing, good time! Take a trip back to the Middle Ages, when you step into the castle at Medieval Times in Myrtle Beach. This dinner and show put you front and center in the midst of competition featuring glorious knights competing to be the best in all the land. You'll be given a souvenir paper crown upon arrival, designating your knight's representative color, and this assigns your seating section as well. Cheer on your knight, as he competes in jousting, sword fighting, and more, while you dine on specialties like tomato bisque soup, roasted chicken, herb potatoes, castle pastry, and more! Watch as the cast members show off their impressive dressage skills, and keep an eye out for the falconer, as he puts on a demonstration you won't forget! This experience is great for history buffs, romantics, and anyone looking for an exciting dining experience. One of Myrtle Beach's premier musical extravaganzas, the Carolina Opry has been a mainstay in the city for decades. Calvin Gilmore brought the idea for this stage-rocking in the mid-1980s, and ever since then, the show has been one of the most beloved traditions in Myrtle Beach. Although it puts on a spectacular Christmas show, the Carolina Opry is open year-round, with daily performances showcasing a variety of musical genres. Current shows include TCO, featuring two hours of high-energy music, dance, and comedy, as well as Time Warp, which covers songs from the 60s, 70s, and 80s! If you're looking for a musical experience that has stood the test of time, stop by Carolina Opry for a rocking good time! Located in North Myrtle Beach, the Alabama Theatre is known as one of the area's top family entertainment experiences. Alabama Theatre not only features its own musical performance, it also hosts guest concerts all throughout the year. Check out One: The Show, which helps to show why the theatre has recently been voted #1 Live Entertainment Theatre in Myrtle Beach by locals and visitors alike. One: The Show combines astonishing talent, iconic production numbers, exciting visual elements and extravagant costuming with hit songs from a variety of musical genres. Keep an eye out for the event schedule, and you may be able to catch concert performances from the likes of Loretta Lynn, Josh Turner, and the Temptations! Unfortunately, many of the greatest superstars of our time are no longer with us, but when you visit Legends in Concert, you can experience the essence of those stars through live performances by celebrity impersonators who excel at their craft! From Michael Jackson to Elvis, you'll be impressed by the appearance and sound of these performers! Look out for current acts as well, including Adele, Bruno Mars, Lady Gaga, and many more! There's no greater way to experience the songs you love from the past and present than with a visit to Legends. Make a point to check it out during your next Myrtle Beach vacation rental!